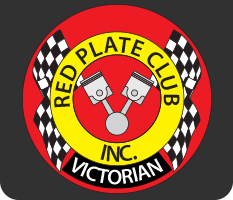 Victorian Red Plate Club was first incorporated on 16/4/2014 and on 30/7/2014 we received our approval from VicRoads. Our Incorporation Number is A0061009Z. The club is a not for profit organisation and does not have an ABN. In August 2014 we registered our first vehicle on 'Red plates." Since then the club has grown to over 660 vehicles. We are based in the Shepparton district but cater to members all over Victoria. The club attracts a broad range of people who for whatever reason may not want to be part of the politics of meetings or attend compulsory club functions. Think of it like a private club. It's not a secret club but we do keep peoples details confidential. If you appreciate personal service from experienced professionals who know the industry then this is the club for you. President - Damian LYNCH, Yukon Enterprises, Miepol or Canada or anywhere else in the world business takes him. Vice President - Anthony SELVA, Rod and Race Shop, Shepparton, QLD or USA depending on the weather. Secretary - Kevin WINCH - Retired Police Officer, 26 years. Engineering patternmaker, CNC operator & CAD/CAM design draftsman. Consultant on all things Club Plates. Lives in Mooroopna. Treasurer - Anthony HUTCHISON, Tatura. Consultant expert on all things cars - Tim NIEUWBURG. Shepparton mostly but can be found in Japan at random times of the year. Committee member - Mark EADE, Shepparton. The secretary AKA Winchy ensures all the paperwork is to a high standard, as it should be. He is the one who agrees to the terms and conditions set out by VicRoads and Consumer Affairs. He also ensures we comply with audit requirements governed by VicRoads. We have been through a VicRoads audit and are proud to have scored very highly.